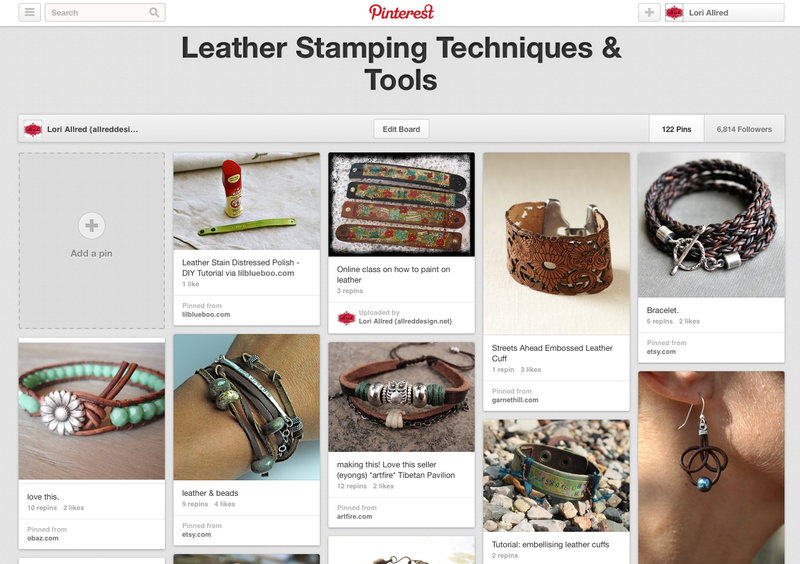 IBP Leather Stamping - Stepping it UP! 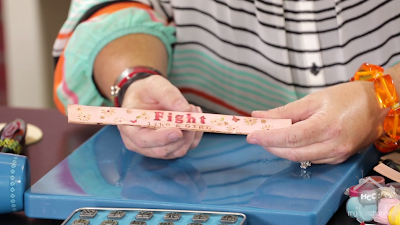 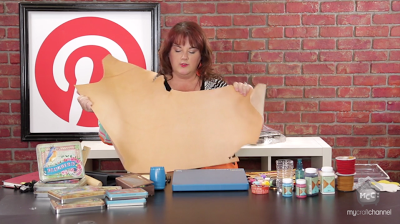 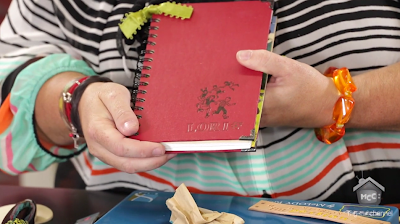 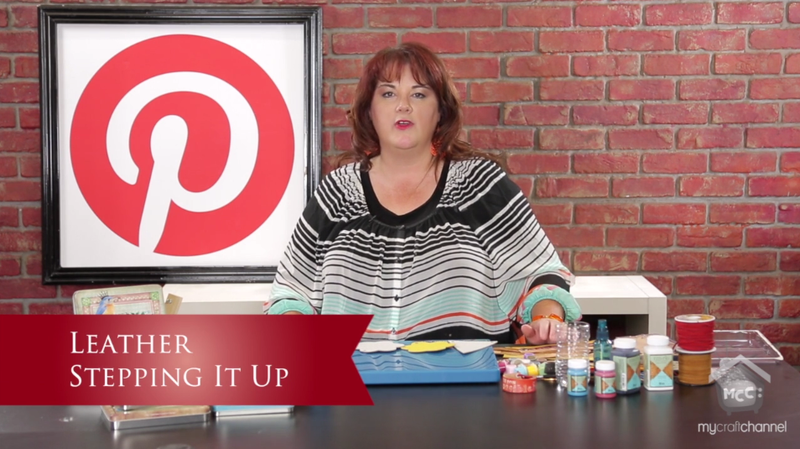 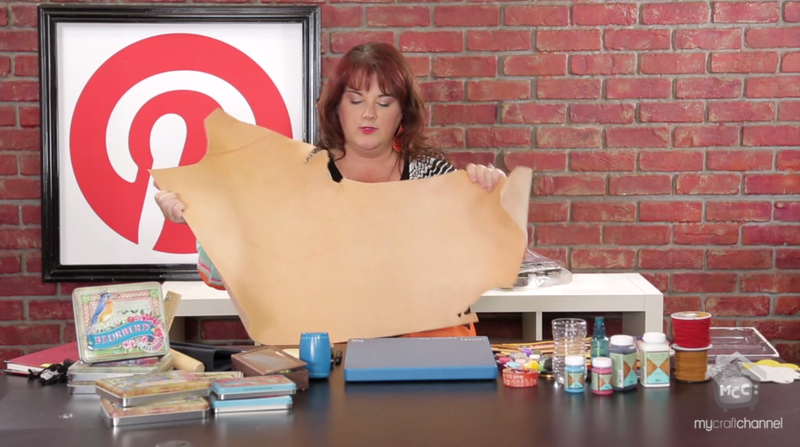 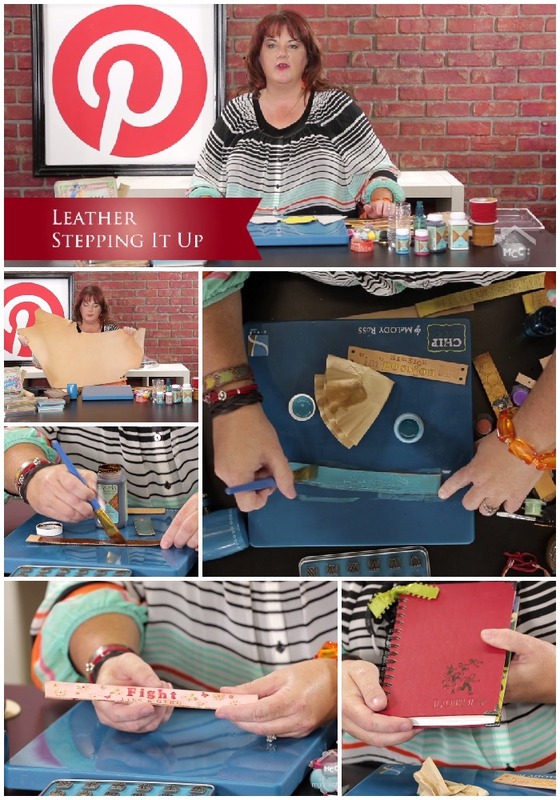 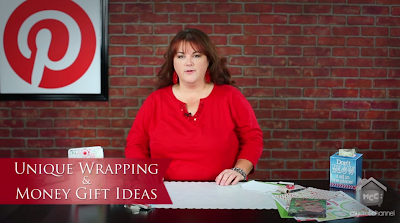 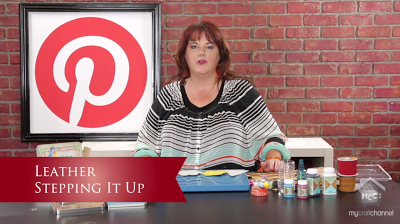 If you loved learning about the GCD Studio's Melody Ross Chipart in last weeks Inspired by Pinterest episode then you will be completely hooked after seeing how to use them on LEATHER. 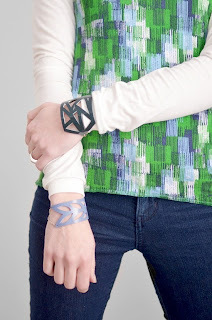 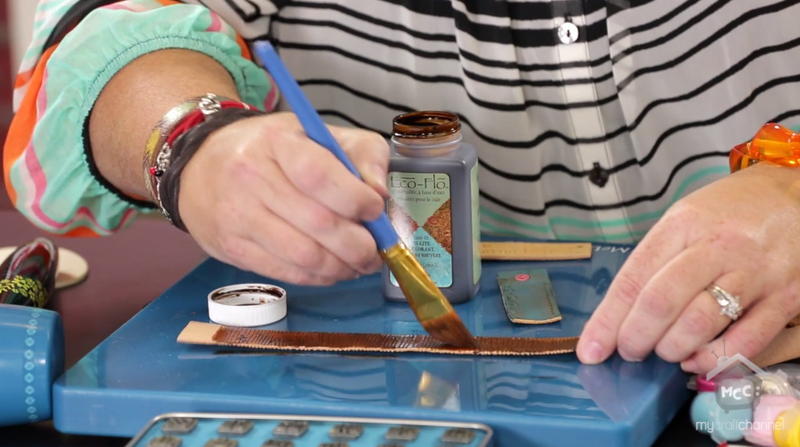 In today's Leather Stamping - Stepping it UP episode, I hope to make stamping on leather hip and cool. 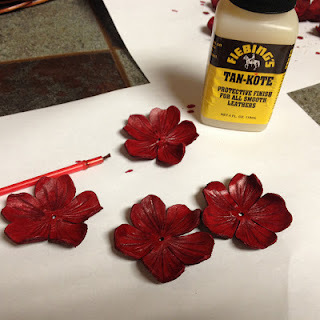 Learn to stamp it, paint it, stain it and the same techniques work great on chipboard. 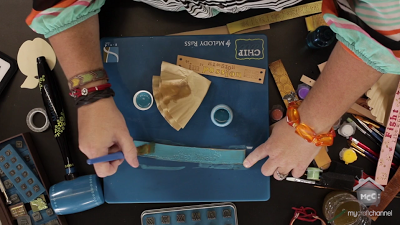 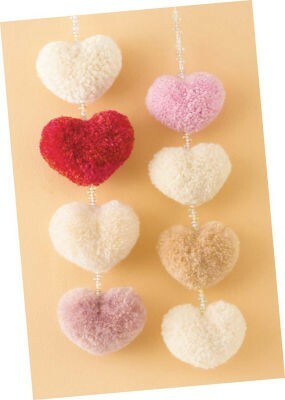 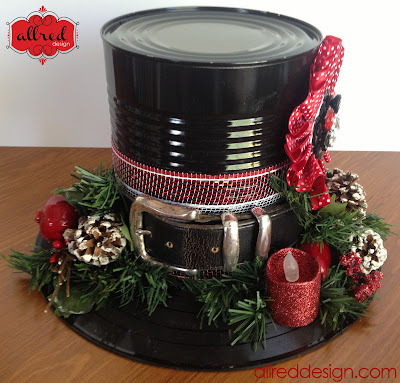 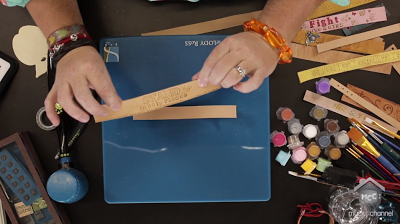 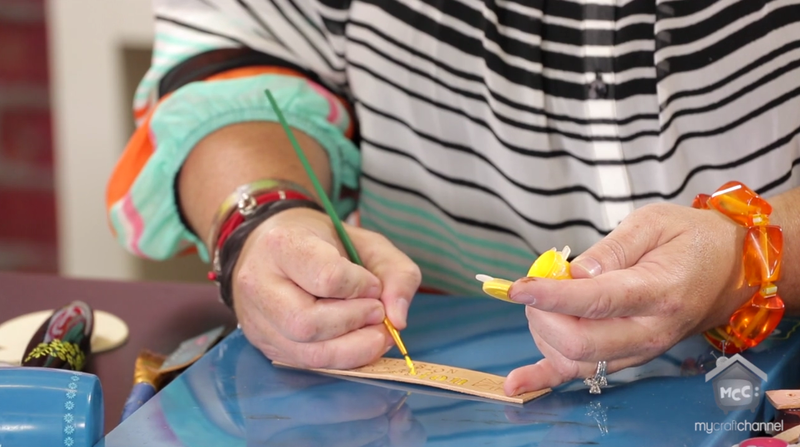 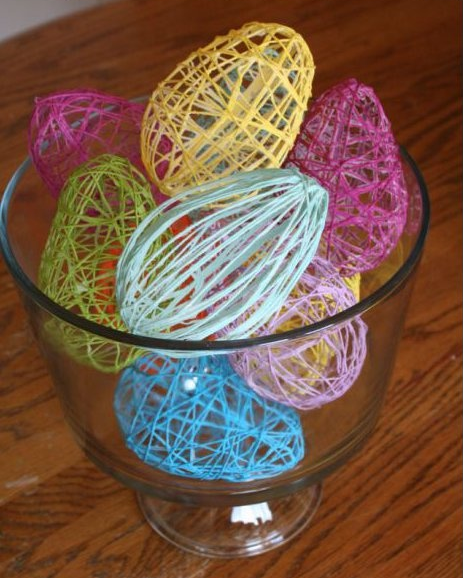 Mixed media and crafty people will love learning how simple this can be. 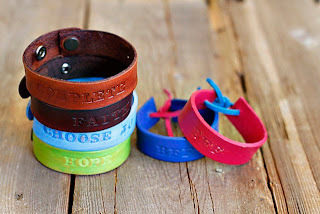 leather shop like Tandy leather, then to purchase bracelets already cut. 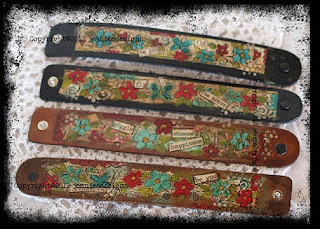 allows you to cut strips as small as a 1/2" up to about 4"
I made this one for a friend fighting breast cancer.